One Great Way to Promote Your Book: A Blog Tour - Jimmie Aaron Kepler, Ed.D. Once upon a time in a century long past when an author wrote a book his or her publisher might send the writer on a book tour. The author would visit media outlets in various cities promoting their book and conduct book signings. Oh, this still sometimes happens if the author is enough of a celebrity to merit so large a capital investment on the part of the publisher. Other authors with outgoing personalities traveled the country promoting their work, sometimes at their own expense. While this method worked, it was difficult for new authors. Newspapers, magazines, radio and television stations were not anxious to use their copy space or airtime on an unknown writer. As the age of the Internet developed, many new authors would promote their book through on-line forums, message boards, groups and chat rooms. These formats encouraged potential reader and book buyers to consider the book. Many times the author marketed their book through these sites by simply making a short sales pitch as they signed their name to their comments. While this method is useful and generated grassroots support for a book it was extremely time-consuming and could be disheartening for author and publish because it requires a large amount of work for minimal return. Today with the economic recession and minimal dollars available for publishers or even self-published work and for those with family situations which include children or the need to keep their day job other options for promoting their work need to be considered. A new opportunity emerged with the dedicated book or author website and blogs. The most exciting of these new opportunities is the blog. The name blog comes from the word weblog. This is an online journal. The purpose of a blog is three-fold. It educates and entertains the public while allowing the readers the opportunity to provide immediate feedback. Today professionals also run blogs seeking a targeted audience. The professional’s goals include building standing and name recognition while making money. Blogs have the added benefit of being inexpensive, easy to set up and support, and simple to find through search engines like Google, Bing, or Yahoo! An author promotes their book to get people talking about their book and its message, to make some money, and to sell enough copies of the book for the publisher to keep it in print. 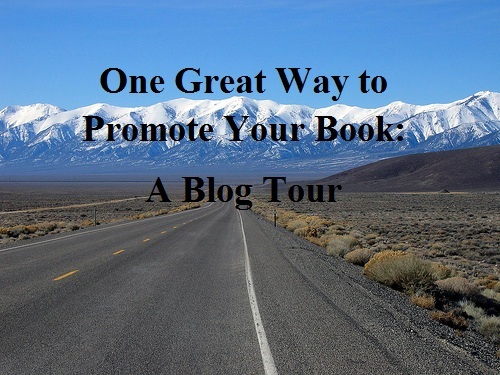 A blog tour can be used as a great way to promote your book. While you ultimately want to increase your book sales, the purpose of a blog tour is to generate interest about your book. A blog tour allows cross-promotion of your book with the blogger’s site. It’s a great way for them to get free content for their blog while promoting your book. It allows the author the opportunity to target the correct audience. You begin by contacting suitable blogs. You ask if they would be interested in being part of the tour. If so, a book can be sent to them to give away in a lottery type drawing, and review. They can invite you to write a guest post or even interview you. A schedule is created and the book is featured from two times a week to every day of the month. Determine your target blogs. Make up a list of potential blogs. This will take a little research. You can search for book blogs with emphasis given to those that focus on the genre you write. I write for three blogs that include regular book reviews. They are Kepler’s Military History Book Reviews, Writing After Fifty, and Kepler’s Book Reviews. I have contact information on my blogs for requesting book reviews. Almost all blogs have a listed a way for contacting the blog. My blogs are shared as examples. Next you approach the bloggers via email. If they have interest preparations are made for a date and an agreement of exactly will be done. Books need to be sent to them well in advance. Your publisher may take care of this. Almost all authors or publisher I deal with do this. I urge reviews. When I review a book I always include reviewing it on my site, on Amazon.com, bn.com, Twitter, goodreads.com as well as all my personal sites like Multiply and Facebook. On my personal site I always include a link where the reader has the opportunity to buy the book. I like to include the publisher website when possible where the publisher can make largest profit on the sale. Interviews require less writing than guest posts. The author and blogger can agree on a set number of questions. When I ask an author for an interview I send them no more than ten questions. I draw the questions from the book and the author’s life and interests as I know the author. Schedule your book blog tour calendar. You not only promote it on your site, but promote it on the sites of the participating bloggers. Almost all blogs have calendars of upcoming events. Make sure you book blog is included on their calendar. Bloggers work hard for free. They promote what interests them. They are a key element of the new media. Don’t stop with one book blog tour. After your first blog tour is completed make sure you host a second one a few weeks to a few months later with a new group of blogs. The second time around you can try something different. Instead of doing a second interview maybe you would want to share excerpts from reviews of your book, maybe post 2 to 3 question interviews conducted by you of the persons who a few of the persons who positively reviewed your book. It could be a fun way to get the reader to see how other readers enjoyed and benefited from your efforts. Your personal creativity can come up with other ideas. Once upon a time in a century long past when an author wrote a book his or her publisher might send the writer on a book tour. The past is behind us. Welcome to the future called today. I think Book Blog Tours can be a fun to promote your work. In the twenty-first century you as the author are going to have to take a more active role in marketing your book. Why not try a Book Blog Tour? It allows you to talk about yourself, your book and who knows you just might meet some interesting bloggers, develop an audience and following, and sell a few books along the way. That will make you and your publisher happy. One Great Way to Promote Your Book: A Blog Tour by by Jimmie A. Kepler is licensed under a Creative Commons Attribution-NonCommercial-ShareAlike 3.0 Unported License. Thank you for the information. I’ll be in touch when my new chapbook comes out. It’s scheduled for pre-publication between May and July. Finishing Line Press is the publisher, and if I can sell 55 copies during this period, they’ll do a regular print run. If not, they’ll do a limited printing with no eBook. It seems to me that this would be a crucial time to do a blog tour, don’t you think? It might be faster to e-mail blog owners a copy of the manuscript in Microsoft Word as opposed to mailing them a print copy. That’s what I did when I asked people to write blurbs for my back cover. I could always add these blurbs and anything else in the book to the manuscript before I e-mail it. What do you think? Thanks again. Let me know and I’ll help promote it!